Duplex with wrap around yard in super location. Perfectly positioned in one of Darwin's most sought after neighbourhoods, this 2 bedroom duplex offers great space, convenience and within a proven capital gains location. Perfect for the home buyer or investor looking for quality, location at an affordable price. B/Corp: Owners pay half each of all common costs. Approximate costs: Water & Sewer $300 per unit per qtr; Building Insurance - $1,580 per unit per year. Inspections: Strictly by appointment - please call George Pikos 04 3800 4800. 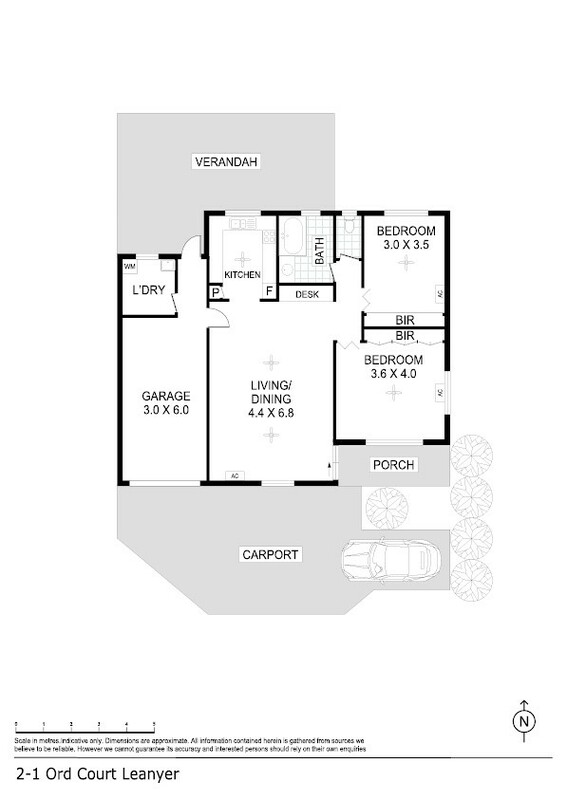 The property has a single garage parking bay along with a secondary park at the front of the home. Native trees provide shelter from the street and a small front porch gives you space to greet your guests. Inside the home is an expansive open plan living and dining area with tiled flooring and large split A/C. The kitchen is a U shaped design with hard wearing surfaces and ample storage and prep areas within. Each of the two bedrooms is well oversize - the master is massive - and includes an equally large built in robe, A/C and tiled flooring as well as large sliding windows that frame the tropical gardens outside. From the back door you step through to the rear of the garage and into a self contained laundry room with storage space within. Further at the rear of the home is a sheltered entertaining area and a verandah that wraps around to offer a large outdoor area. Down the side of the property is a grassy area for the kids and pets to play that is sheltered and off the main road so there is ultimate privacy out here. Idea for the home owner or the investor, this apartment is big on size, small on price and the ultimate savvy purchase for your future.